In the morning I am inspired to pursue the Gaucho look and purchase some Bombachos (voluminous trousers) and a crocheted beret, I have also shaped my beard in the style of John Murray Thomas (the leader of the Rifleros who hailed from Bridgend and who was marvellously moustachioed). The owner of the clothes shop is impressed by my dedication and hands me a single sheaf of wheat…more about that later. Back to the farm, which is becoming our 2nd home, well actually our 1st at present. 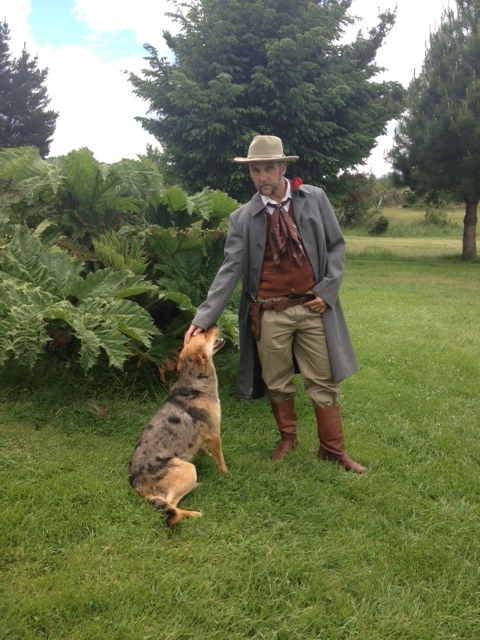 We wash and hang our clothes on the line beneath the cyprus trees and I show the Greens my new outfit, they indulge my dressing up fantasy, find and dust down a family heirloom, Charlie’s great grandfather’s Colt 45, including the holster plus a crisp, clean Christian Dior shirt, clearly they are getting to know me well. We then drive to Molina Nant Fach, which belongs to the Evans family and we step into another world…that almost resembles a pastoral pastiche. 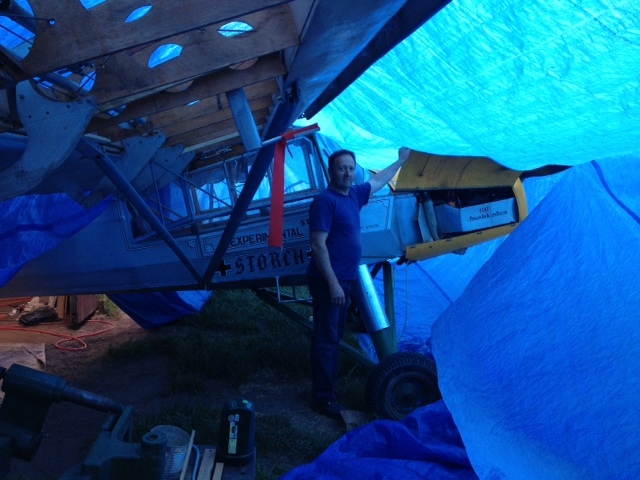 We meet the person who build the mill, Myrfyn Evans who whisks us off to his big shed which in front has a huge structure covered in blue tarp, he excitedly beckons us under the cover, underneath in a blueish hue is a full size plane built from wood, fabric (shiny gaffer like tape) and bicycle chains which he has spent the last 10 years constructing ( and gone through two wives in the process ). It will have its inaugural flight at the end of the month! Clearly he is mad, basically an eccentric, wonderful inventor – the shed interior is like a toy shop; life size plastic horses stand around pulling invisible wagons; two dilapidated model T Fords rusting in a corner; self built steam engines in pieces on the floor; mini smelting furnaces with bizarre shaped moulds and sections from several gliders suspended from the shed’s beams. It’s nuts! 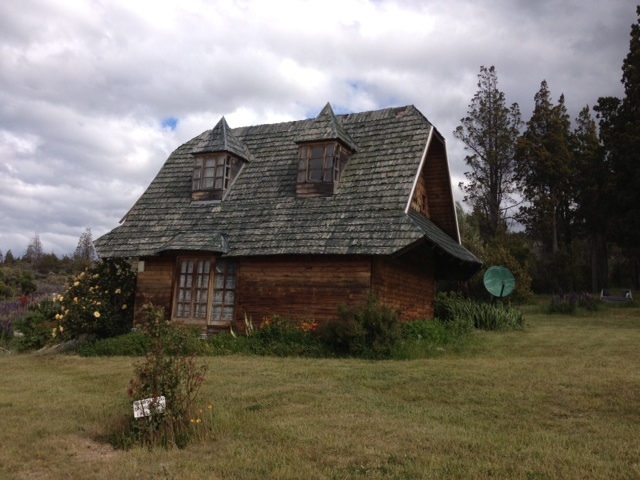 He relishes our enthusiasm and wonderment and invites us for tea in his little fairy tale house. 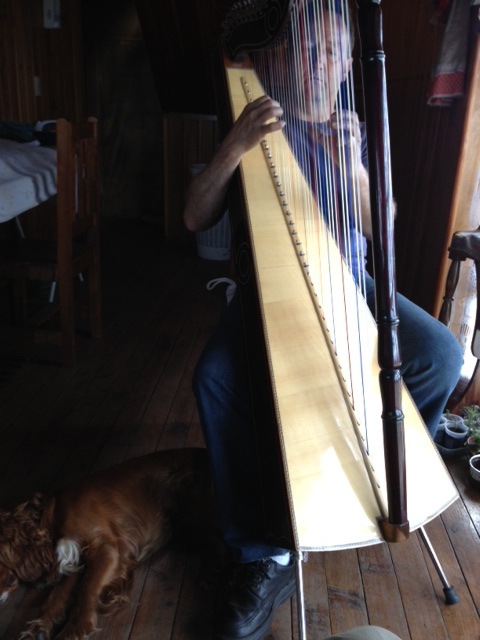 While the tea is brewing he plays a few folk tunes on his harp which, when it hits the high notes sets of a chirping mechanical bird in a nest next to the window…..we have met the Willy Wonka of Y Wladfa! 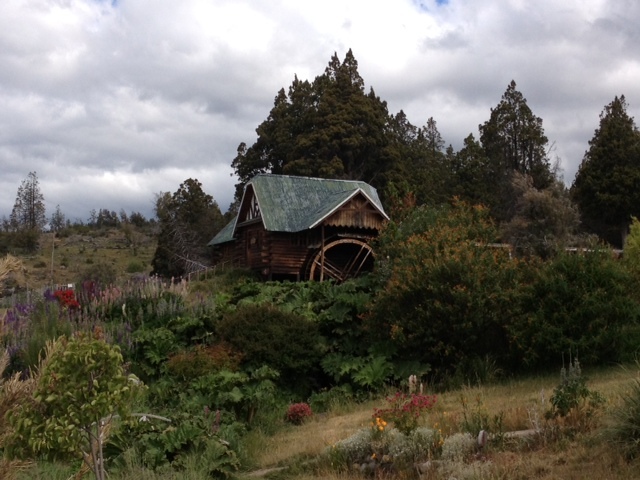 Then, to the mill where he makes the water wheel go round, just for us….it’s fantastic! The mills interior mechanism is incredibly detailed and well crafted, it is Merfyn’s monument to the memory of the Welsh and the wheat that they produced. Through their ingenuity the flour industry flourished; finally, all their diligence, dedication and drive (and that of their ancestors) payed off, the Chubut wheat was of such high quality it even gained international awards such as the first prize in the Paris exhibition in 1889 (the same year that the Eiffel Tower was built). They prospered not from the discovery of gold but by growing it from grain. Alas, this golden age was short lived and in 1945 something terrible occurred, the government under Perron cut all subsidies to the region in favour of supporting the mills north of the River Negra, announcing the Cwm Hyfryd region ‘none wheat producer’. This obviously had a crippling effect on the mills and what finally put the nail in the coffin was the arrival of the train which enabled the transportation of cheaper wheat from the North (which they even stored in the sheds of the bankrupted mills) what an insult! 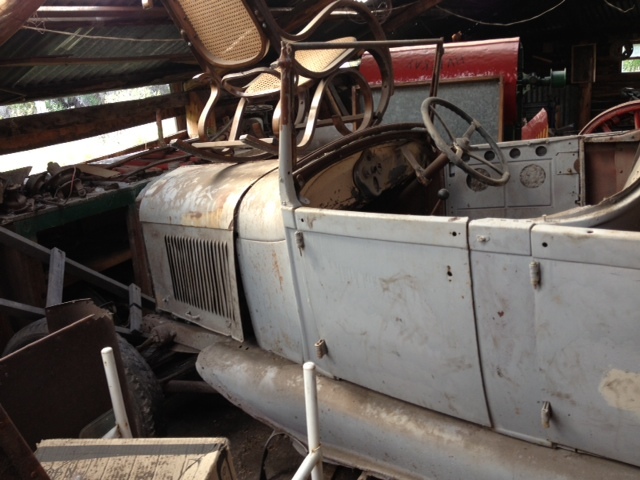 Merfyn’s passion built the museum to honour and protect this memory. The wheel is still turning with the water from the little stream (Nant Fach) which flows down from the Andes mountain slopes, in the same way it did then, and we are moved by the same spirit as that of the old pioneers. Merfyn is also a pioneer of sorts, one that preserves the past in a very unique way. 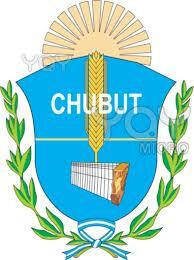 Ironically, the emblem of Chubut features one sheaf of wheat and a mill wheel which clearly demonstrates the resonance and significance that the chapter still holds. The clothes shop owner attached a sheaf of wheat to the paper bag containing the bombachos and beret, and said with a smile and a glint in his green eyes.